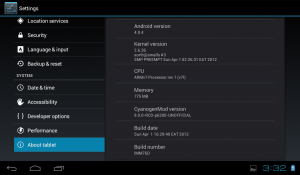 A few weeks ago I started porting CyanogenMod 9 (Ice Cream Sandwich) to the Galaxy Tab 7 Plus. 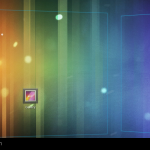 It was a slow start, but after fixing up the touchscreen driver for ICS things started moving much quicker. It has finally reached a state where I feel that it would benefit from public testing (as well as help from other people). The device is properly recognized as a tablet, so tablet-mode stuff (like the bottom bar) work properly. It’s incredibly fast; most transitions are buttery smooth, applications launch fast, etc. Hardware buttons (power and volume) work properly, and trigger appropriate Android OS functionality. Lots of stuff is still broken. The list is very long! Anyone interested in more details (developers or curious users), should head over to the XDA thread. Sources are available at my github account. April 1, 2012 Alan OrthComments are off for this post. so i have the samsung gt p6200 (galaxy tab 7 plus) and im trying to set up internet calls (sip). 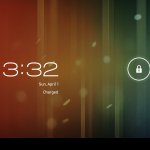 i was told i need cyanogenMod to do so. 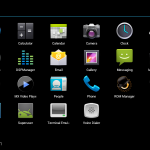 if i use CM 9 will i be able to do internet call? btw, look into CSipSimple for SIP. It’s free, open-source software, and it rocks. I used to use it on Froyo/Gingerbread to make SIP calls (it integrates into the Android dialer). Dunno if it works on Honeycomb, but maybe! When will a newer version be released? Hi, I’m a complete noob in this thing. Just got my 7 plus recently and I’d like to install this ROM. I rooted my device but I don’t know how to do. Where can I get the latest version of this ROM and can 3g works? Flashed the ROM and its silky smooth. Loved it very very much. Hey, homeslice. You didn’t even bother to read the thread I linked to… go read it. If I can spend months sitting here porting this (for fun, for free), then you can read a thread.